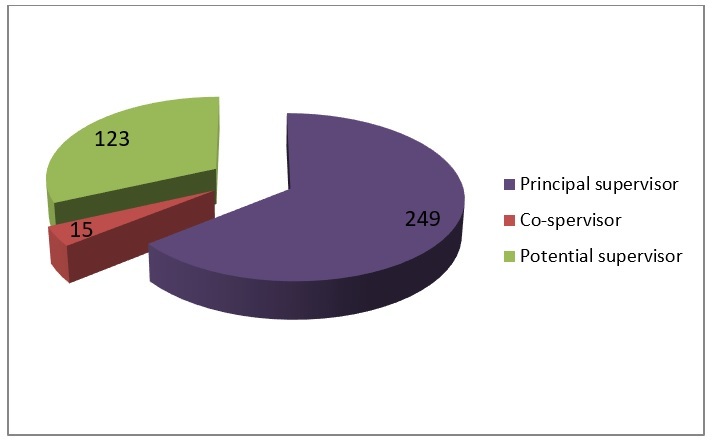 Under the structure of the Marmara University Health Sciences Institute, a total of 264 supervisors, including 15 co-supervisors, are involved in PhD training programs. In addition, there are 123 potential supervisors, who are involved in lecturing/coordinating the courses given in the programs, but have not participated in the training as supervisors yet. Bu sayfa Sağlık Bilimleri Enstitüsü tarafından en son 14.09.2017 09:35:07 tarihinde güncellenmiştir.